As briefly described above, your credit score is yours and only yours. Marriage, or divorce for that matter, will not have a direct effect on your credit score. Reason being, the Credit Bureau views you as an individual, regardless of your marital status. 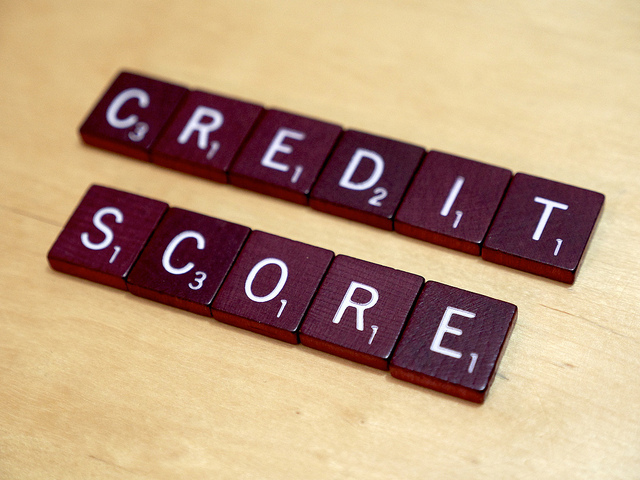 Credit scores are calculated solely from your credit history. Therefore, the only one that can directly impact your credit score is you. Applying for a joint credit card. More often than not newlyweds will begin to combine finances after their big day has passed. When applying for a credit card, as joint card holders, many banks and credit card companies will check each spouse’s credit before determining if they are eligible for the card which they have applied. Therefore, if you or your spouse has poor credit you could be denied for the credit card. Buying a house. Often times newlyweds intend to use the money that they received for their wedding as a down payment for a house. Great idea! But what if your spouse has a questionable credit score? Well, that can make obtaining a mortgage, at least with a reasonable interest rate, a very difficult task. When applying for a mortgage most banks will run a credit check for you and your spouse and, at this juncture, a spouse’s poor credit score will affect your ability to obtain a mortgage. Renting a marital residence instead of buying. Now that you’re married you and your spouse may want to look for your first residence together, but don’t want to be committed long term to one location, so you decide to rent. Great! But can your spouse’s poor credit score affect your ability to rent? In short…yes! This day and age many landlords require that all parties intending to lease property not only sign the lease, but also consent to a credit check. In this case, your spouse’s poor credit score can affect your ability to rent an apartment. Although, ultimately, it is up to the landlord to make the final decision whether or not your spouse’s poor credit will prevent you from leasing the residence. We have all heard the saying that the key to a successful marriage is communication. Why is this such a popular saying? Because it is true! In order to avoid being blindsided by the fact that your spouse has bad credit you should make it a point to sit down and discuss your personal financial situation. 1. Pull a copy of your credit report and carefully review it. 2. Are there any delinquent accounts or accounts in collections listed on your spouse’s credit report? If so, you will want to address each of those accounts individually to obtain both the status of the account and the amount that the creditor is claiming due. 3. Once the delinquent accounts have been addressed, look for credit cards that are either maxed out or close to their limit. If this is the case, make a budget and, if possible, a plan to begin paying down the balance on those credit cards with a high balance. Starting with the cards that have highest interest rates first. 4. Lastly, be patient. Building a good credit score doesn’t happen overnight, but with patience and dedication it can be done! Your spouse’s credit score does not directly impact your credit score, but as discussed above, there are numerous indirect consequences associated with a spouse that has a poor credit history. Always discuss your financial situation with your spouse and, if need be, together, you and your spouse can develop a plan to rebuild your credit. Editor’s Questions: Did your spouse have poor credit before you got married? Did you discuss it before marriage? What have you been penalized in some way because of a low credit score? What have been the challenges of improving your credit score? Author Bio: Adam Black, Esq., is a graduate of Bloomsburg University of Pennsylvania where he received his B.A. in Political Science. While attending Bloomsburg University, Mr. Black was a member of the Political Science Student Association and Phi Sigma Alpha, a national honor society. Adam attended Thomas M. Cooley Law School in Lansing, Michigan where he was a member of the Journal of Practical and Clinical Law and a recipient of the Outstanding Associate Editor Award. Currently, he is licensed to practice law in the State of New York and is a member of the New York State Bar Association and the American Bar Association. Mr. Black is also currently serving as a member of the Bloomsburg University Alumni Board of Directors. You can follow Black Law on Facebook, Twitter, and LinkedIn. Thank you Brian for sharing my firm’s article! If anyone has any further questions or would like to further discuss their credit score please feel free to contact my office. I had poor credit before we got married, Rick had no credit. Luckily, even with our debt load, we both remain well into the 700s. Those are good scores Laurie. Ours were excellent but now are awful. One of the odd circumstances of living with no debt and not using credit cards. My husband had awful credit before we got married. Luckily, I was aware and we’ve worked together to improve his score. It’s actually gone up over 200 points in a matter of a few years, which is great! We talk openly about all finances and have even discussed in-depth how we were raised when it comes to money. We want to raise our kids knowing that money and credit is very important and absolutely needs to be talked about before entering into a marriage. “…we’ve worked together to improve his score.” That’s a critical point Sarah. It has to be a joint effort. That’s great it’s gone up so much in a short amount of time. It’s not tough if you know what to do. This is an important conversation to have with your spouse to be before marriage. Both partners financial situations should be out on the table for the other person to see. Surprises are never good… unless is a birthday party surprise, those are fun. I agree Aldo. Sadly too many newlyweds aren’t thinking about this. I wish I would have had more counsel on financial issues before marriage.